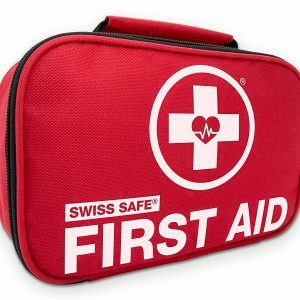 Swiss Safe is an excellent choice for a first aid kit. 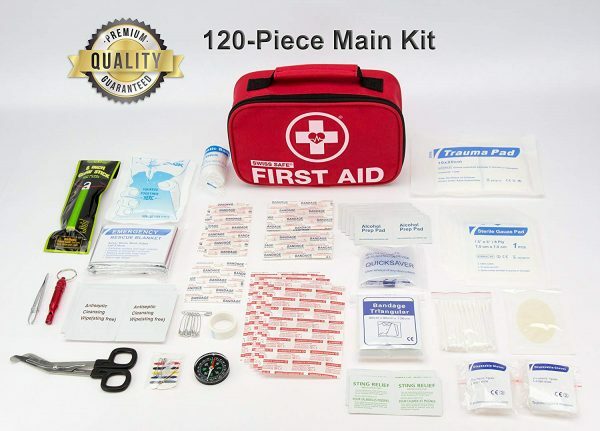 We like the 5-star reviews and the high quality of this lightweight and compact kit. 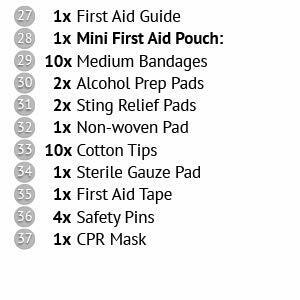 (152 Pieces in Total w/ Mini Kit). 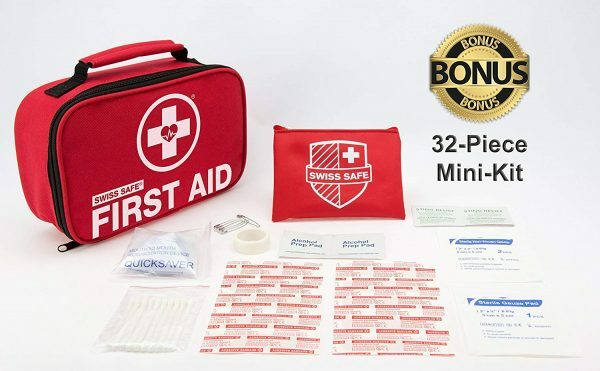 Swiss Safe is well known for providing high-quality medical-grade first aid supplies. 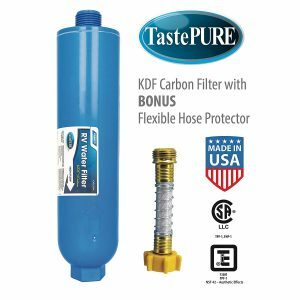 They take pride in their manufacturing and quality control procedures to make sure you receive the best quality products possible. 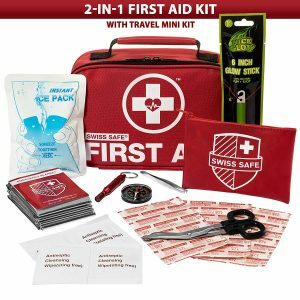 The kit is only 9 inches wide and weighs only 1.2 pounds, and will fit in a glove box or backpack. 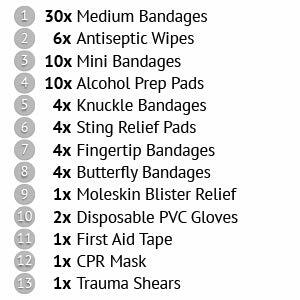 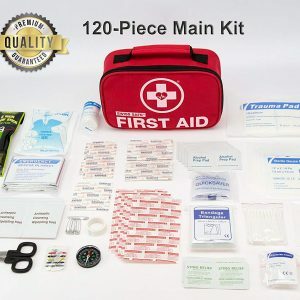 Includes all of the essential first aid items for many emergency situations. Includes an easy to read 18-page first aid guide to help you correctly administer first aid in a variety of emergency situations. 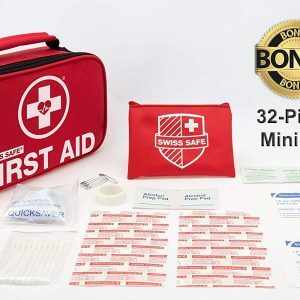 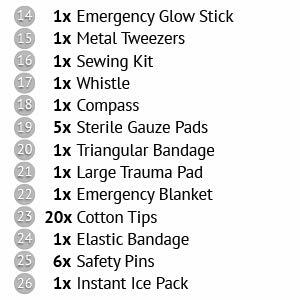 2-in-1 Premium First Aid Emergency Kit with 120 medical grade items. 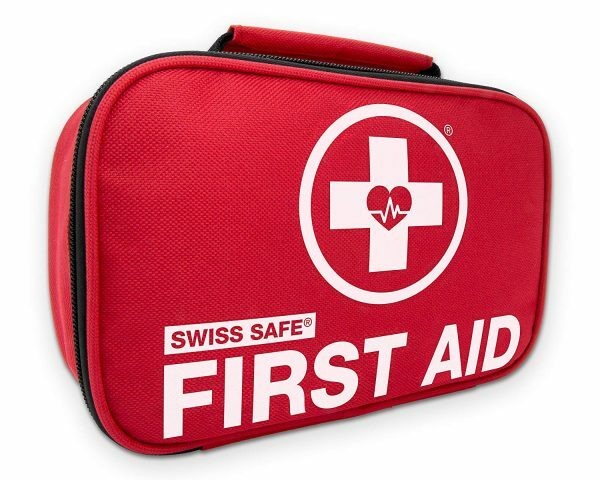 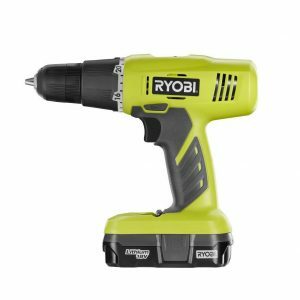 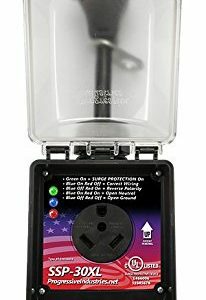 MULTIPURPOSE: Perfect for any occasion or events – family, home, workplace, emergencies, outdoors.